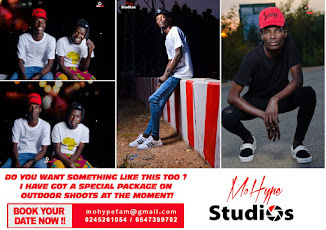 Home / Entertainment News / BET 2018:BEST INTERNATIONAL ACT CATEGORY, NO GHANAIAN ARTISTE! HERE IS WHY? BET 2018:BEST INTERNATIONAL ACT CATEGORY, NO GHANAIAN ARTISTE! HERE IS WHY? Did you know this is the first time Ghana has lost out on the BET Best International Act Category after over five consecutive years of representation since 2011. In 2012, Sarkodie (who took the baton from DBlack - Ghana's first ever musician to be nominated in that category in 2011) was nominated and jointly adjudged the winner alongside Nigeria's Wizkid. 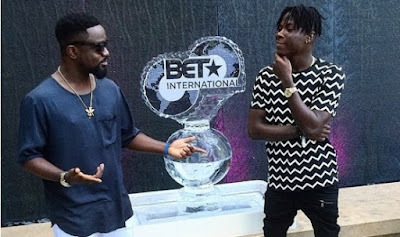 One of Ghana's favorite music group R2Bees followed suite in 2013 but they lost to Ice Prince, Davido won in 2014 after a keen competition from Sarkodie. In 2015 Stonebwoy and Sarkodie were nominated with Stonebwoy eventually taking the lead ahead of all the others. 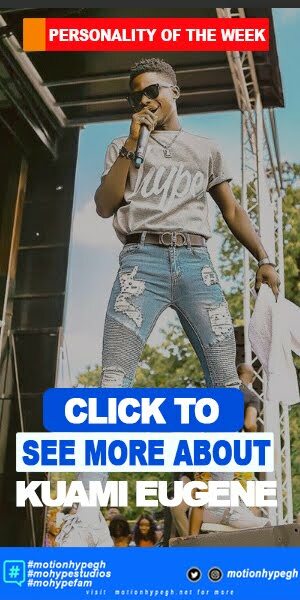 Black Coffee from South Africa and Wizkid won in 2016 and 2017 respectively, with Ms Vee representing in 2016 and Stonebwoy representing in 2017. 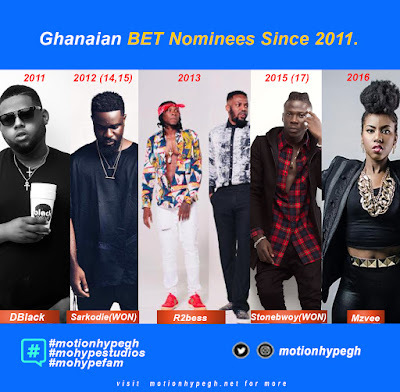 The official list of nominees was announced yesterday the 15th of May via the official BET website www.Bet.com and no Ghanaian artiste made the list. 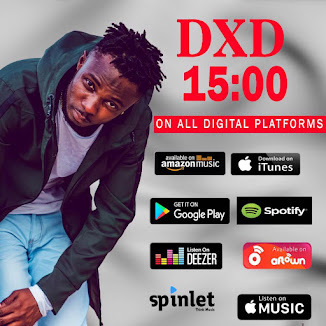 This has been a terrible blow to the Ghanaian music fraternity, more especially to fans who had hopes of seeing some of their top acts in the list. 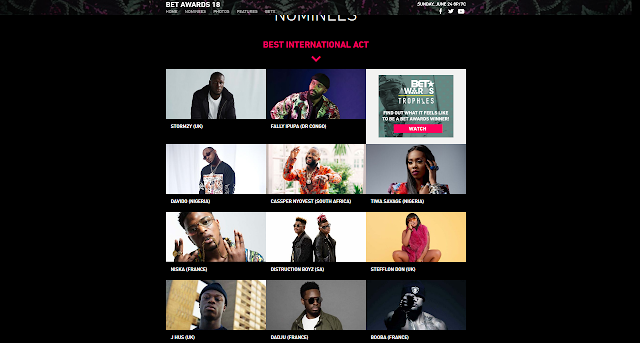 Screenshot of the nominated artistes this year. Aside the apparent reason being that the enlisted nominees worked harder or played their cards better than our local musicians, there is another credible factor that can be attributed for this awful miss. Here is why we think our Artistes Could Not Make The List. The organisers of the BET Awards made certain changes in this year's edition particularly on the Best International Act Category. In this year's nomination, The Best International act for both UK and Africa have been merged in to a single portfolio aimed at awarding all other deserving black entertainers outside America. Simply put, there are now, more deserving entertainers to consider making the process of being selected or wining very tedious as compared to previous year. This merger implies a more stringent criteria for the nominee screening and selection process which leads to a tougher battle for the grand prix. 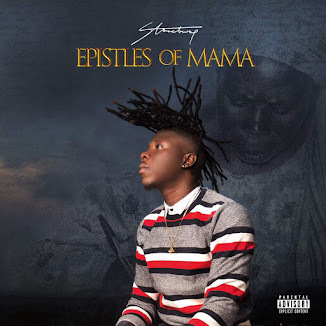 Seemingly, Ghanaian artistes could not beat the stiffened competition presented by this year's Best International Act category.